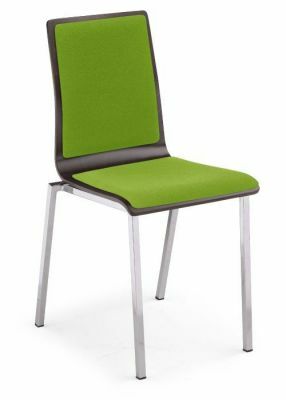 Stylish cafe seating with a single shell, robust design and foam filled upholstered seat pad in a wide selection of colour choices. You can expect a four week lead time with this seating range. Premium quality, contract grade seating suitable for upmarket cafe establishments. Made to order in choice of fabric upholstery options and attractive wood stain colours.